With HMRC’s Making Tax Digital initiative now underway for VAT, and with all remaining taxable services soon to follow suit, every business will need to be on a digital platform sooner or later in order to record and file their tax returns – We thought we’d mention it again just in case you haven’t heard that phrase enough from us! Here at Price Davis, we are strong advocates for Xero Accounting Software, and strongly believe it is far and above all other platforms we have experienced in its functionality, sophistication, and usability. With that in mind, we want to show our clients just how great Xero actually is by creating a ‘Xero How To Video Series’, throughout which we will be guiding viewers through the basics of the software. In this first video of the series we look into how to navigate the platform, and how to personalise your Xero dashboard to display information relevant to your business. 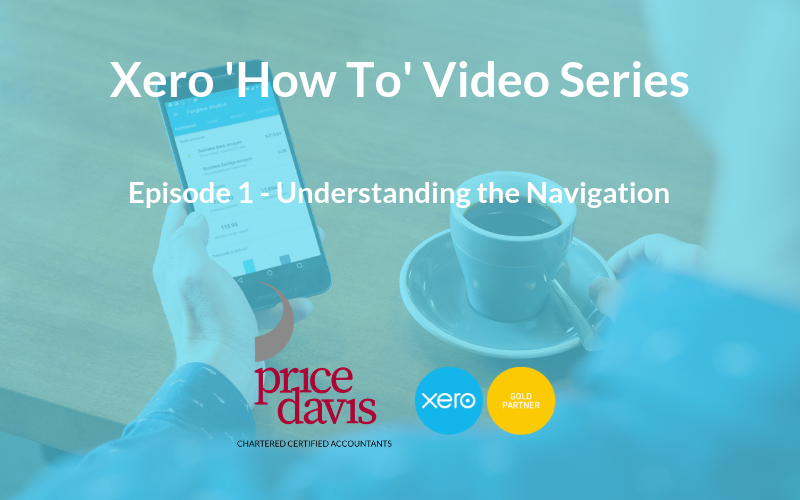 We hope that you found the above video helpful in understanding how to navigate around the various screens in Xero. You can re-watch this video and watch future videos in the ‘Xero How To Series’ on our newly created Business Resources page on our website! If you have any queries regarding Xero Accounting Software please feel free to contact out Xero support department on support@pricedavis.co.uk or call us on 01452 812491.